Lighthouse Autism Center is excited to announce speech therapy at all Indiana centers. Many children at Lighthouse receive other services outside of ABA , including speech therapy. This can be hard on the child and hard on the parents. The child is missing out on important time away from ABA therapy and parents face the difficulty in finding transportation to and from services. Lighthouse is continuing to follow their mission of putting children and families first. 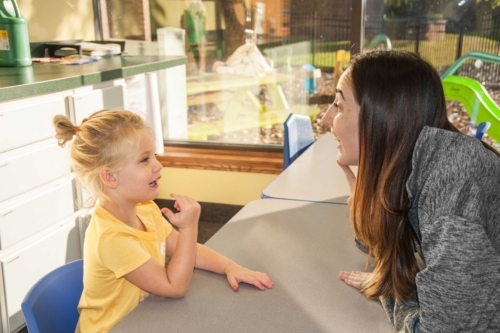 Lighthouse will begin to offer speech therapy in the spring of 2019. To learn more about speech therapy at our Indiana centers contact: Maria Kurzhal at (574) 387-4313. Lighthouse Autism Center opens in Plymouth, August 2015! 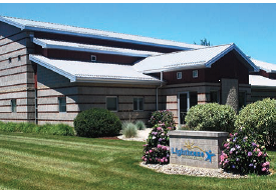 Starting in August, Lighthouse will begin to offer therapy services to Plymouth and the surrounding communities. he center will be located in Plymouth and will be home to our newest – and fourth – Lighthouse Autism Center. With this location we’ll be able to provide much-needed ABA therapy to families in those communities. “Several of our families who are enrolled at our Mishawaka and Warsaw locations are actually from the Plymouth area. Some of these parents are willing to drive over an hour back and forth everyday to get their kids the therapy they need because there are no other options in their communities,” said Gregg Maggioli, Executive Director. Realizing there was a growing need, Lighthouse organized a community interest meeting to gauge the need for autism therapy services in Plymouth and the surrounding areas. “The turnout from families, local schools, doctors, and advocates was outstanding and largely solidified our decision to open a center there. With the support of the community and the need for the ABA therapy services we provide, there was no question that opening a center in Plymouth was the next step for Lighthouse,” said Gregg. The new center will initially have 12 children and a staff of 16 and we expect to grow to 18 children and a 30-person staff. Opening a center in Plymouth will have a positive effect on the availability of services in Northern Indiana. Once the new center opens, Gregg notes that the Plymouth-area families enrolled at the Mishawaka and Warsaw locations will be transferring to the Plymouth locations. This will in turn free spots at our Mishawaka and Warsaw locations to serve more families in those areas. Families now have more options than ever before for providers of autism treatment. Amongst these providers, Lighthouse has emerged as a leader in autism therapy in Northern Indiana. “Through the opening of our center in Plymouth, it is our hope to continue our mission of bringing quality, center-based therapy to communities who are in need of ABA services,” said Gregg. To read the entire Spring 2015 edition of The Autism Beacon click here. 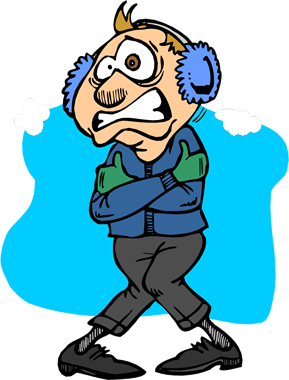 Lighthouse Autism Center will be closed Friday January 9th due to weather. Lighthouse Autism Center Now Enrolling in Warsaw, Indiana! Lighthouse Autism Center is coming to Warsaw and will be opening it’s doors on July 9th, 2013. The center is NOW ENROLLING! The Warsaw center will be located at 1535 Provident Drive, Warsaw, IN 46580 in the Bowen Center Building. Lighthouse Autism Center (LAC) utilizes Applied Behavior Analysis (ABA), an intensive therapy that focuses on the principles and techniques of learning theory to help improve social behavior. ABA therapy helps to develop new skills, shape and refine previously learned skills, and decrease socially significant problem behaviors. Applied Behavioral Analysis (ABA) is the only Autism therapy that is endorsed by the US Surgeon General because of the decades of research supporting it. ABA therapy at Lighthouse is conducted in a 1:1 setting (1 therapist working with 1 child). Each child goes through an in depth assessment conducted by a Board Certified Behavior Analyst (BCBA) and other clinical team members to determine their current skill set and what skills might need to be improved upon. Give us a call today at 574-387-4313 to see how Lighthouse Autism Center can help your child with Autism reach his or her fullest potential. Together we can make a difference for your child.